FFA - Ahmed Bedier, Florida’s top defender of Sharia law, is no longer an ACLU of Florida board member or the Tampa/Hillsborough County Human Rights Council president. Did the end of Ahmed Bedier’s official position at both organizations just coincidentally occur at the same time? The answer is probably not based upon the circumstances surrounding these changes. Ahmed Bedier, former Council on American Islamic Relations (CAIR) Tampa Executive Director and current president of the pro-Sharia group called United Voices for America no longer holds two influential political positions. He is no longer a board member of the ACLU of Florida or the president at the Tampa/Hillsborough County Human Relations Council. Florida Family Association issued an email alert on September 29, 2011 and prominently posted a long term article on the homepage at Welcometotampafl.org on October 4, 2011 titled: "National Islamic leader Ahmed Bedier holds influential posts with progressive allies including position as president of the City of Tampa’s Human Rights Board." The full article is posted below. "ACLU of Florida Board of Directors Representatives elected by the Greater Tampa ACLU Board include the following Greater Tampa ACLU Directors (alphabetical): Mr. Ahmed Bedier; Ms. Lynnette Garcia; Mr. Michael E. Pheneger, Colonel, US Army Retired. Mr. Bedier, Ms. Garcia & Mr. Pheneger serve until the ACLU of Florida Board restructuring takes effect after the September 2012 ACLU of Florida Board of Directors meetings. After the September 2012 ACLU of Florida Board of Directors meeting, the Greater Tampa Chapter will have only two representatives to the reorganized ACLU of Florida Board. The Greater Tampa Chapter Board has elected Ms. Lynnette Garcia and Colonel Pheneger to be the Greater Tampa Chapter representatives to the reorganized ACLU of Florida Boards after the September 2012 ACLU of Florida Board meetings." The ACLU posted the above information regarding board changes on May 16, 2012. The changes did not take place until after the September 2012 meeting. Totally revamped their officers and board of directors which no longer includes Ahmed Bedier as president. Moved the organization out of their former office located on City of Tampa property at 102 E 7th Avenue, Tampa, FL 33612. Shut down the Tampa/Hillsborough County Human Rights Council (THHRC) web site for an undetermined amount of time. Had moved out of their building. Has a new board and officers. Could only be reached if she sent an email to the new president with a message. Web site could be shut down for a long time, months. The reason why the web site may be shut down for “a long time” is because there may be a dispute between THHRC and Ahmed Bedier who is listed by Networksolutions.com as the owner of the web site THHRC.org. The web site and office location are hidden for now. Florida Family Association will continue to use Welcometotampafl.org to warn current and future citizens about the embracement of Sharia and Islamization by Tampa officials. To support Florida Family Association's efforts with a tax deductible, confidential gift please click here or mail you gift to: Florida Family Association (FFA), PO Box 46547, Tampa, FL 33646-0105. September 29, 2011 email alert and October 4, 2011 Welcometotampafl.org article. Ahmed Bedier exemplifies the premise of Florida Family Association’s September 6, 2011 email alert titled “United they stand against us. Divided we could fall to them.” That email alert described a coalition of people with an assortment of strong viewpoints who stand against traditional, God fearing Americans. That entire email is posted here. 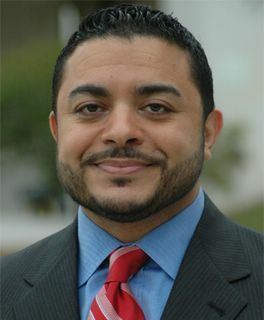 Ahmed Bedier was the Director of the Tampa office of CAIR (Council on American-Islamic Relations) from 2003 to 2008. Click here for Tampa Tribune report. Ahmed Bedier is president and director of the Tampa/Hillsborough County Human Rights Council, Inc. which is a taxpayer funded agency operating on City of Tampa property at 102 E 7th Avenue, Tampa, FL 33612. Click here for more information. as director of the Tampa office of the Council on Islamic-American Relations defended Sami Al Arian, who was indicted and plead to federal charges of raising support for a Palestinian terrorist organization. See Note 2 with references below. as director of the Tampa office of the Council on Islamic-American Relations spoke on behalf of Youssef Megahed one of two University of South Florida students who were arrested for allegedly carrying pipe bombs near the Goose Creek, S.C a naval base and Megahed was arrested later for deportation. See Note 3 with references below. It would be interesting to hear Mr. Bedier reconcile his blog statement “Ahmed Bedier has NEVER met with anyone accused of terrorism” with the above points two and three regarding Sami Al Arian and Youssef Magahed. The progressive political beliefs of officials at the City of Tampa represented in this report reveals what Florida Family Association is up against in seeking equal justice for the death of the Palestinian woman named Fatimah Abdallah. Her death appears to be an honor killing instead of an accident. Click here for Florida Family Association’s full report on the Tampa Police Department’s mishandling of Fatimah Abdallah’s death. All of the above statements were reported by The Tampa Tribune on April 15, 2006. Click here for full Tampa Tribune report. The above statements were reported by the Tampa Tribune on September 1, 2007. Click here for full report. Note 4: CAIR (Council on American-Islamic Relations) lead then by Ahmed Bedier placed intense pressure on the Hillsborough County School Board to include the Muslim holiday Eid Al-Fitr in the 2006-07 school year calendar. The school board responded to CAIR’s pressure by removing Good Friday and Yom Kippur from the school calendar. Click here to read the St. Petersburg Times October 26, 2005 report. Fox News’ Bill O’Reilly covered the school board’s decision during several shows. Hillsborough County Commissioner Brian Blair responded by leading a public effort to urge the school board members to add the religious holidays back. The Hillsborough County School Board relented under the microscope of national pressure from Fox News. Click here for the St. Petersburg Times November 9, 2005 report. HOWEVER, the Hillsborough County School Board’s true secular progressive sentiment prevailed during the next year and years after the national publicity wore off. The school board voted to remove Good Friday and Yom Kippur from the school calendar in subsequent years. Tampa students supported and encouraged by their parents overwhelmingly demonstrated their dissatisfaction with the school board’s decision to eliminate Good Friday from the school calendar. Approximately 60,000 of the 80,000 students attending Hillsborough County Schools did not show up for class on Good Friday 2008. Media estimates of students not attending school that day ranged from 58% to 75%. Additionally, many teachers and transportation personnel did not show up for work that day.